Takumi-no-sato is a complex of DIY arts and crafts workshops. 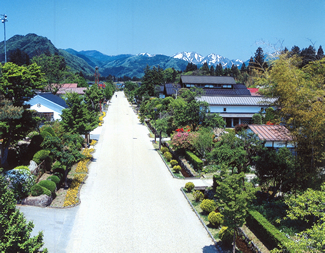 Situated in the onsen or spa resort heartland of Minakami, it was established on March 25, 1993. At Takumi-no-sato, you can enjoy DIY traditional arts and crafts at more than 24 different workshops, including the Agriculture Workshop where you can make soba & udon noodles, apple pie, and Japanese pickles. It takes more than a day to enjoy the whole of Takumi-no-sato, so many people make multiple visits there. The place attracts more than 470,000 tourists annually. Visit Takumi-no-sato to find your own way of enjoying DIY experiences.